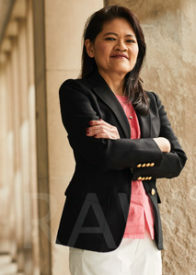 Lynette H. Ong is Associate Professor of Political Science at the University of Toronto, jointly appointed at the Asian Institute and the Munk School of Global Affairs and Public Policy. Her research interests are authoritarian politics, contentious politics and the political economy of development. She is an expert of China and Southeast Asia, particularly Singapore and Malaysia. Her current research addresses China’s state repression, social control, and citizens’ resistance. She writes about Chinese state’s outsourcing of repression using “thugs-for-hire” and engaging with brokers to bargain with disgruntled citizens. Using survey data, she explores the question why citizens in authoritarian countries, such as China, participate in protests. She also writes how regime types affect land politics in China and India. Her publication on state control and resistance has appeared in Perspectives on Politics, Political Studies, Foreign Affairs, China Journal, Journal of Contemporary Asia and Journal of Contemporary China. Her earlier work examines the political economy of development in China, particularly local government’s use of bank resources to finance government expenditures and the implications for developmental state model. Her work published in the mid-2000s highlighted the perils of mounting local government debts in China. She is the author of Prosper or Perish: Credit and Fiscal Systems in Rural China (Cornell University Press, 2012). Her work in this area has appeared in Comparative Politics, International Political Science Review, China Quarterly, Journal of East Asian Studies, among others. She contributes her opinions regularly to popular audience. Her opinion pieces have appeared in the Washington Post, Foreign Affairs, South China Morning Post, Ottawa Citizen, East Asia Forum, New Mandala, among others. Her research has been featured in the New York Times, the New Yorker and the Economist. She has been invited to give testimony before the US-China Economic and Security Review Commission on “China’s Banking System and Access to Credit”. She was awarded An Wang Postdoctoral Fellowship by Harvard University’s Fairbank Center for Chinese Studies in 2008-09. Her research has been funded by Social Science and Humanities Research Council, Connaught, Chiang Ching-Kuo Foundation, and the Association of Asian Studies. March 4, 2019 Lynette Ong in South China Morning Post – China’s ‘two sessions’: an economic watershed or just more of the same?